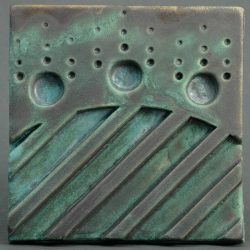 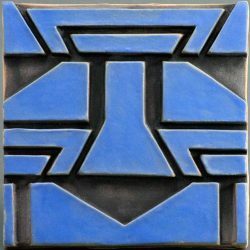 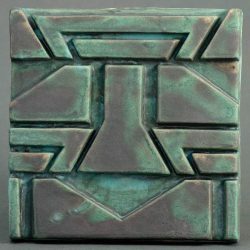 A collection of 6″ x 6″ handmade ceramic decorative relief tile. 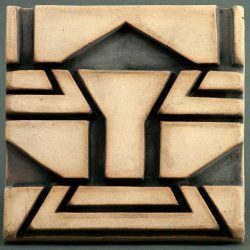 The tiles are suitable for interior or exterior use. 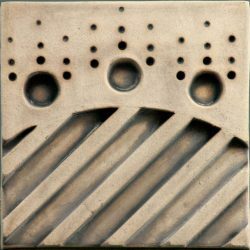 While they are intended to be set in groups to feature their unique patterns, each tile has an indentation on the back for hanging from a screw or nail if desired.